GIFT SHOP (FILLED WITH HOLIDAY IDEAS) - The Old Town Arts & Crafts Guild, Inc. A non-profit organization. Gallery, Gift Shop, Art Classes, Artists' Receptions, Promoting Art Fairs, and a Historical Art Collection! Our gift shop not only includes art but we have a wide selection of handmade original crafts. 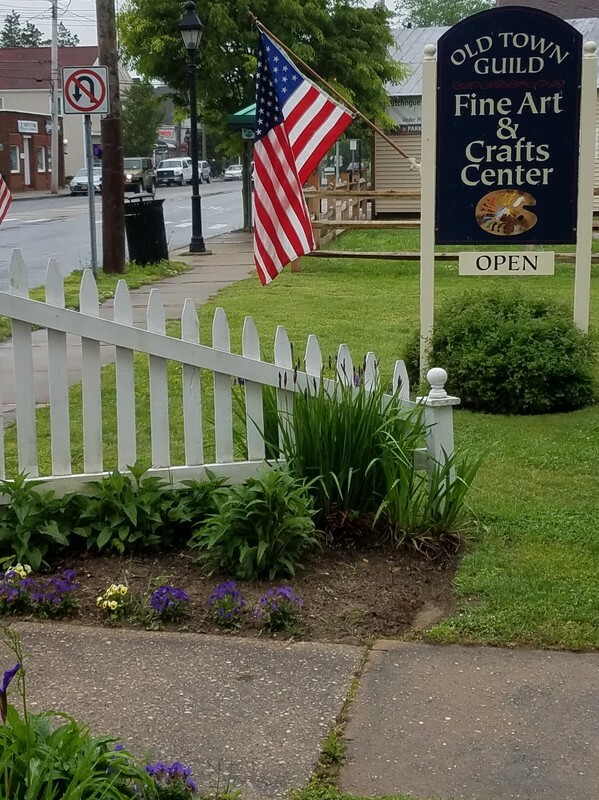 Throughout the gift shop you will find custom jewelry , pottery, wreaths, hand knitted/crocheted items as well as place mats, runners, pillows, and ornaments. In addition we have hand painted furniture, bird houses, and board games. Since our gift shop is located in the heart of the North Fork of Long Island, many items depict scenes of beaches, wineries, and farm stands. Because our items are one-of-a-kind, we frequently change our inventory. The photos below show some of the items available. We hope you will come and visit us in Cutchogue.